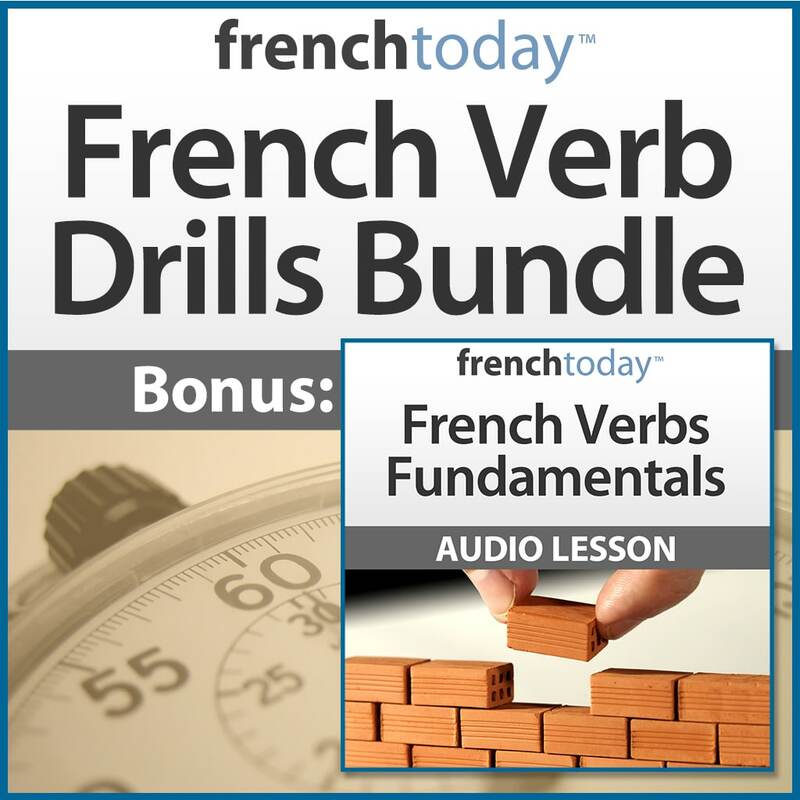 100 drills + 6 minutes per drill + 227 page transcript + 100% money back guarantee = incredible value! I’ve tried dozens of language learning methods for the three different languages I’ve studied, and I’ve never found anything quite like French Today. 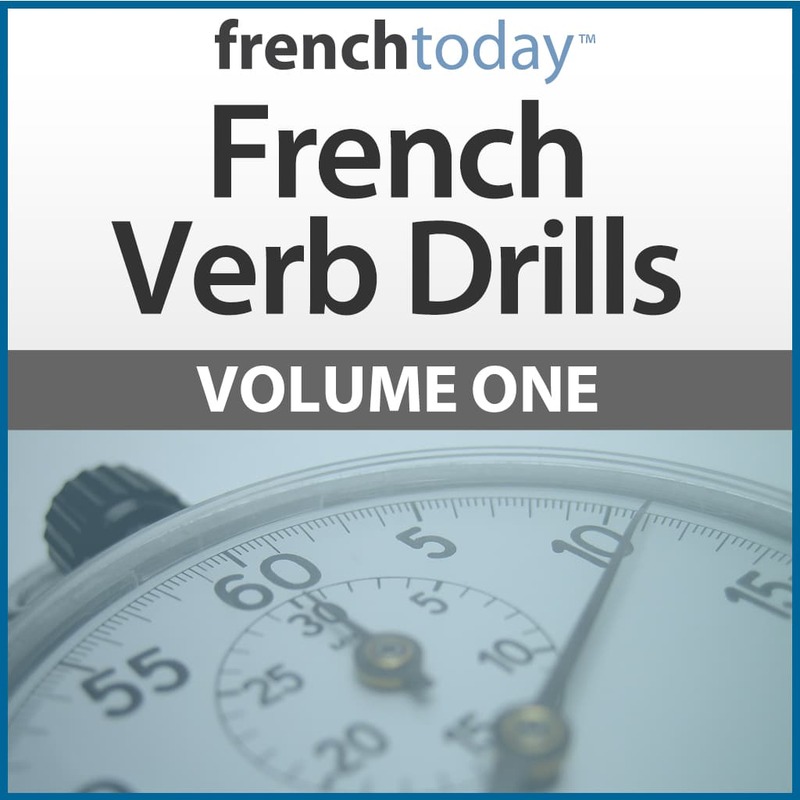 I am ahead of my French class from the verb drills alone, and my comprehension has improved in such a short time. It just helps everything to click. I highly recommend! I’m just starting to use this Volume, and Volume 3, for some much needed brushing up on my conjugaisons. This tool is the ideal solution I recon. Regular use will eventually result in it all being second nature. In addition, I’m now receiving lots of helpful tips and bits and pieces, free of charge. They’ve all been very useful and presented in a form which makes it all easy to remember. Well done Olivier + Camille – you’re the best! Excellent product! I will purchase others as time and circumstances prrmit. Merci. 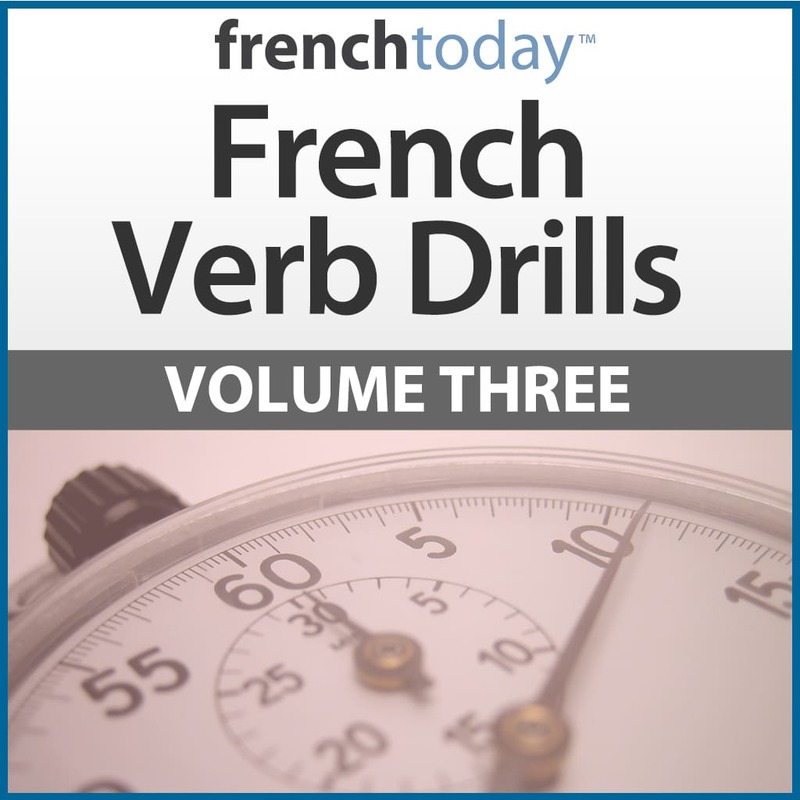 I am working my way thru all 3 volumes of the verb drills. They are excellent. Camille’s voice is so calm and encouraging. I also highly recommend her number drills. They really improved my comprehension. Très utile pour apprendre vite – en particulier dans la continuité. Un grand merci – ça marche très. All products I have purchased have been of great benefit. I could never pronounce “s’asseoir” correctly, and hesitated too much even with “être”. 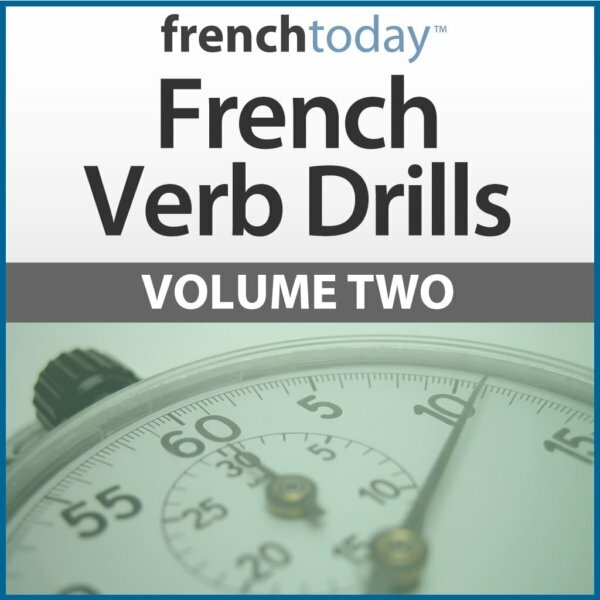 French Today’s drills were the perfect thing for me… Now the verb forms come to me almost naturally, I can hear Camille’s voice in my head.